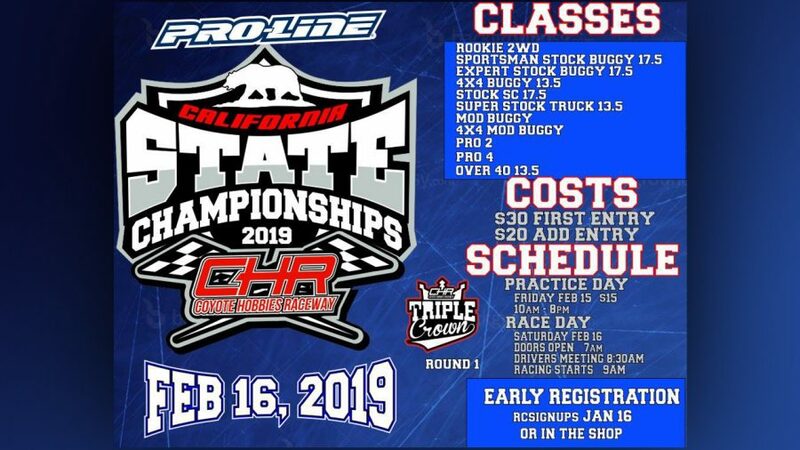 Pro-Line Racing California State Championship early sign ups open on Monday Jan 21 at 12pm onRCSignup. You can also sign up in person in the shop. Come race with us. Pro-Line Racing California State Championship Feb 18. Early sign ups are open. You can Sign up @ www.coyotehobbiesraceway.com or in person @ the shop.